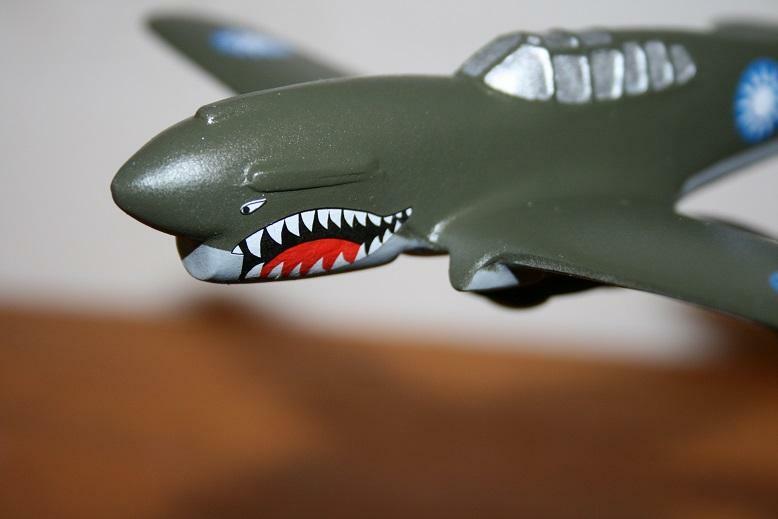 I missed the F4U that came up recently, my bad. It is interesting to note that Bronzart focused on east coast manufacturers such as Vought, Curtiss, Bell, Republic and Martin as they knew where their bread was buttered. 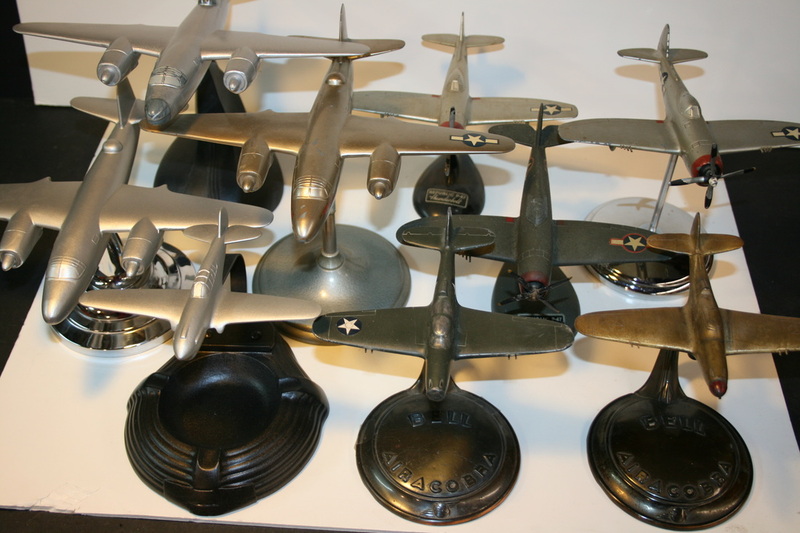 These were all produced in 1/72 scale after they lost the recognition model business with the military. These were usually produced in two paint schemes, Bronzart Gold/Silver and in olive drab. 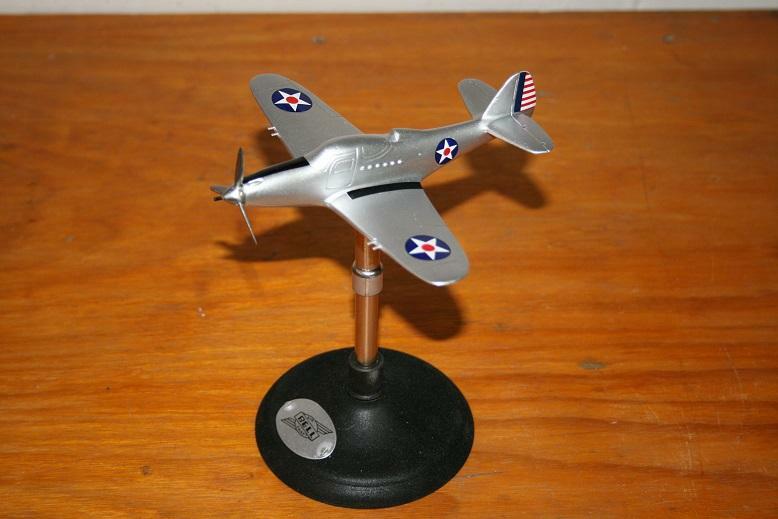 Only the F4U corsair came in dark blue/gray. 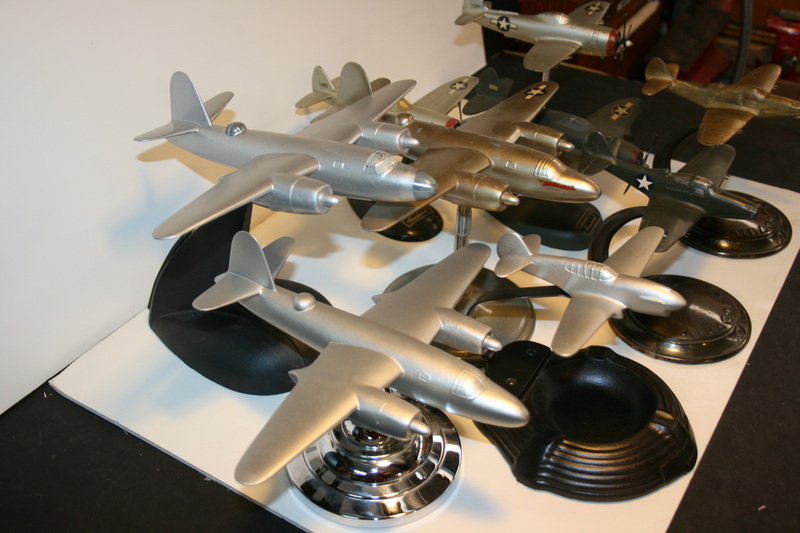 Five of the models here have their original stands. 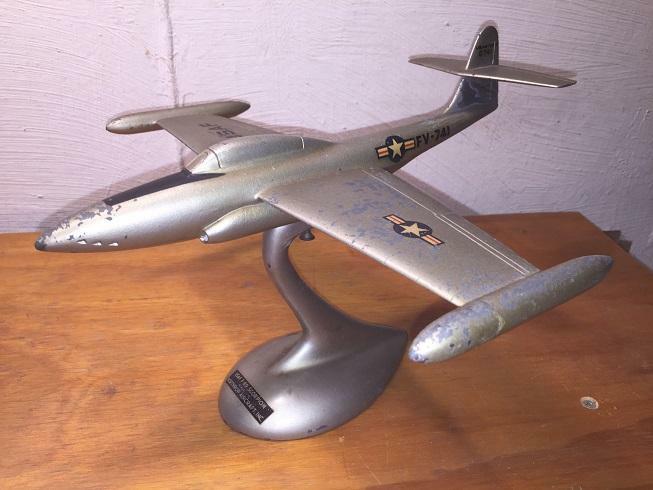 It is interesting to note that many aircraft illustrators during the war purchased Bronzart models in lieu of trying to find full-scale samples. 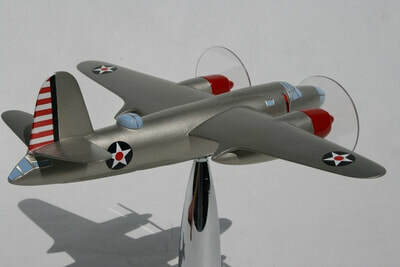 Later on after the war was over, Bronzart produced other models for Boeing and west coast companies in 1/144th scale. Needless to say these are fragile but heavy beasts that must be handled with some caution. 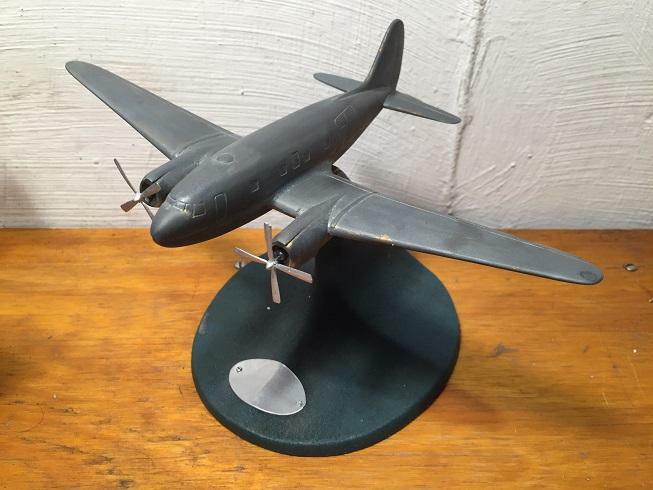 Another of Tom's beautifully restored models, Tom writes, "This one is the 1/144th scale version of the Curtiss C-46. Note it is the version with the stepped windshield meant for attracting post-war commercial sales. Again, the typical issue of the missing stand. 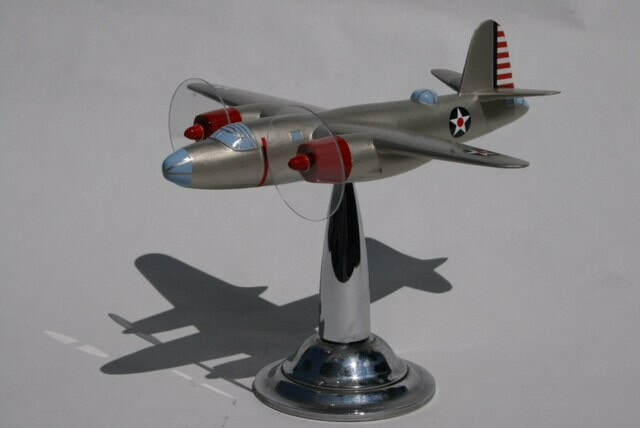 This stand is mahogany with an added spine for attaching the model. 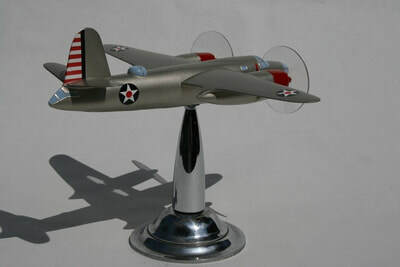 Bronzart did not usually do more that paint the model although some did occasionally receive decals depending on need for marketing". 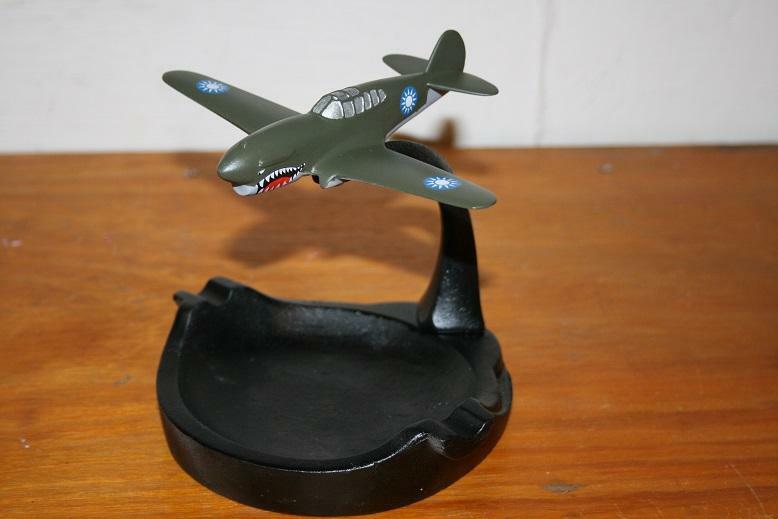 Restored P-39 by Tom. 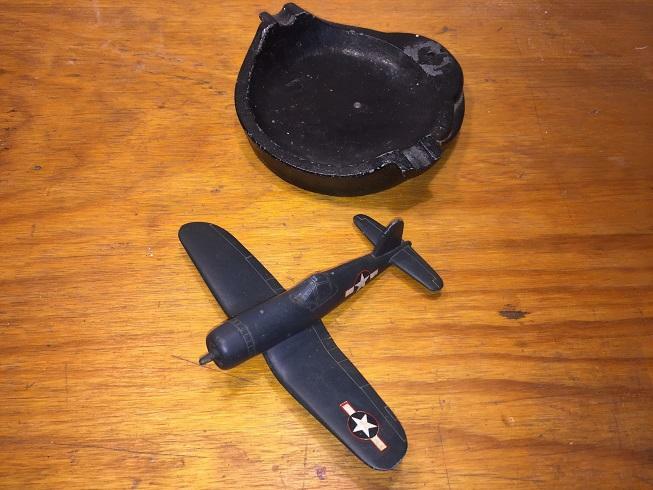 (new spinning prop and cannon). 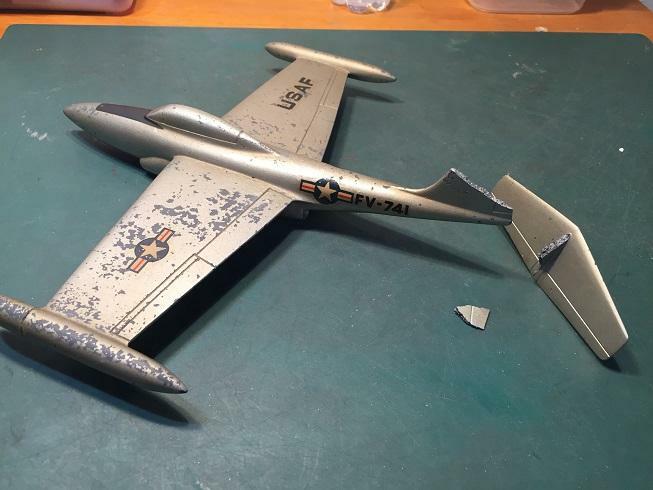 Tom reports that this model was purchased with the tail section broken off and attached with old masking tape before restoring it, but was able to use a combination of epoxy and super glue to permanently re-attach the twp sections. 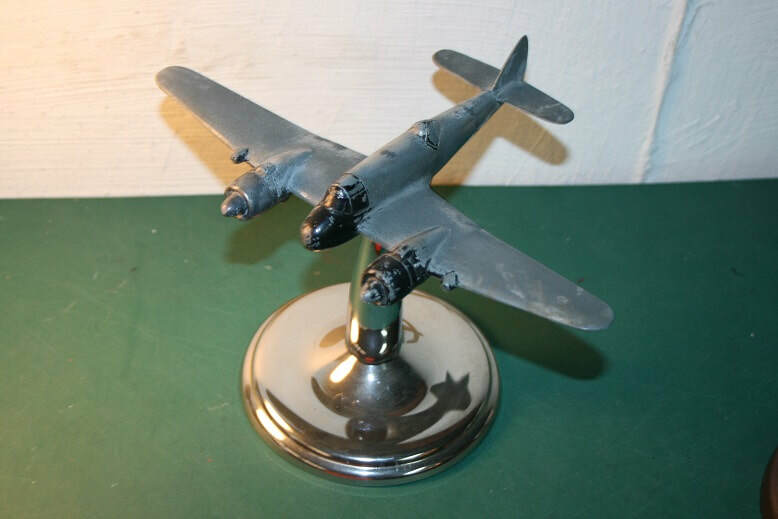 He also installed a Blind Jack Nut in the belly so that the model could be attached to a display stand. 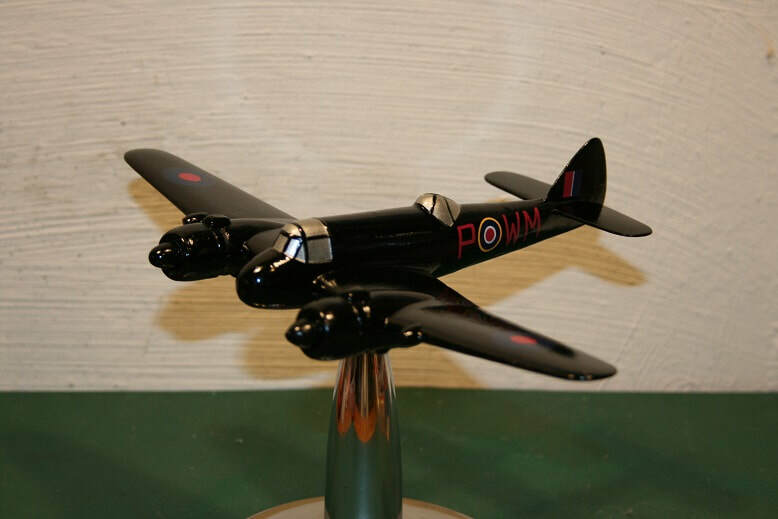 The client wanted to have it painted as a night-fighter. 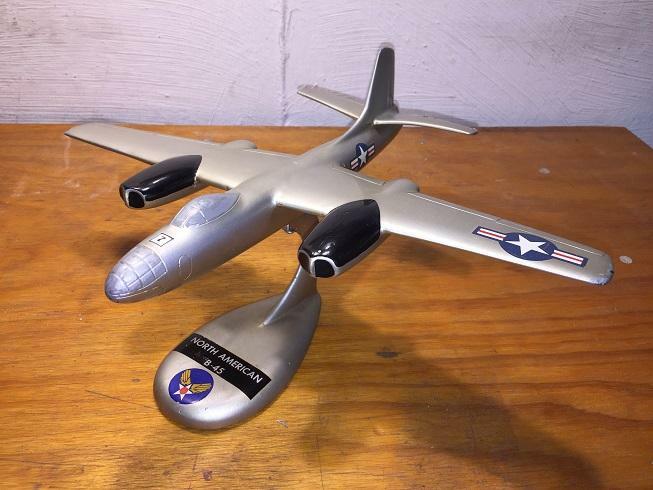 Tom reports on his beautifully restored B-26 " ​The Bronzart B-26 Marauder was faithful to the first production model that includes the prop spinners and short fin.. 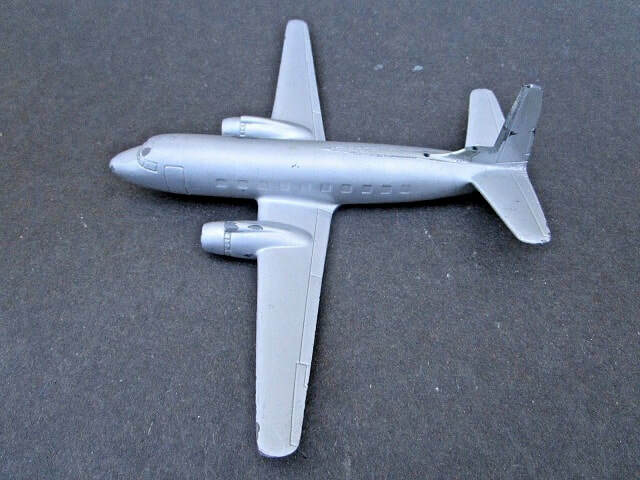 They produced many of these models and they survive in a good quantity. 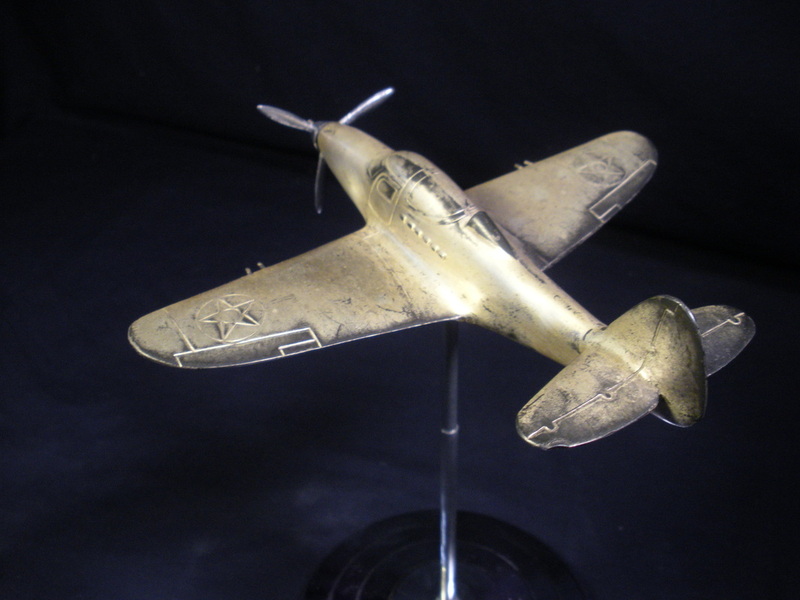 They come with Bronzart's special Silver/gold "bronze" paint and a pair of decals. 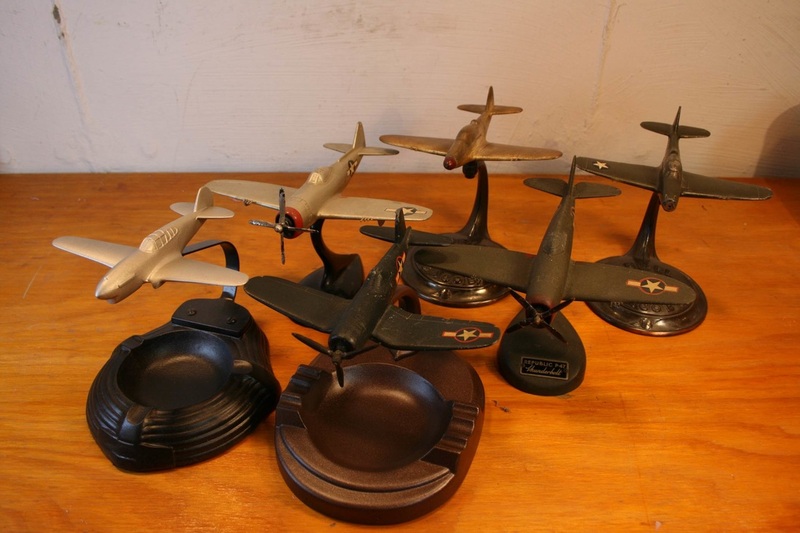 Some came with ashtrays, some with a simple stand and others were sold to Martin without any stands at all. When Martin built and opened their new plant in Omaha, NE, they quickly built a Strombecker recognition model for display in the front office waiting area. 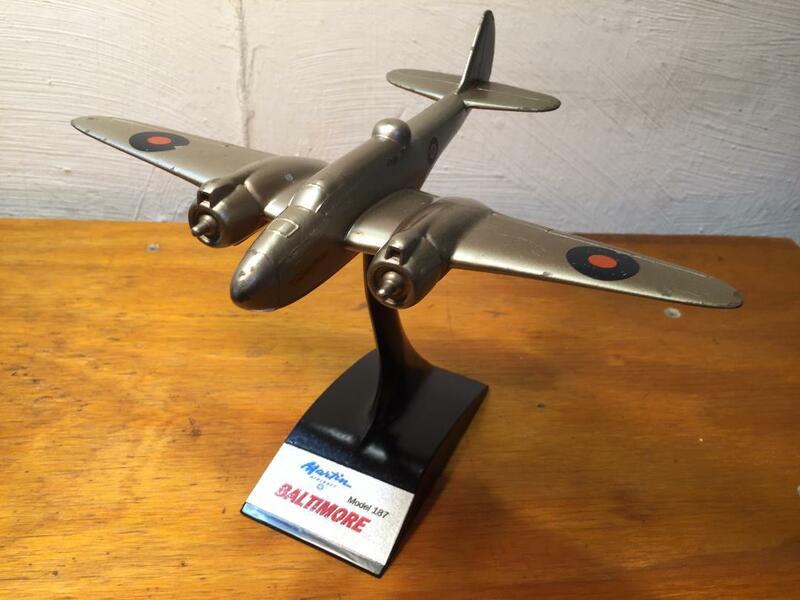 Later on a Bronzart was used as a replacement and I have overhauled one as it would have been on their display."